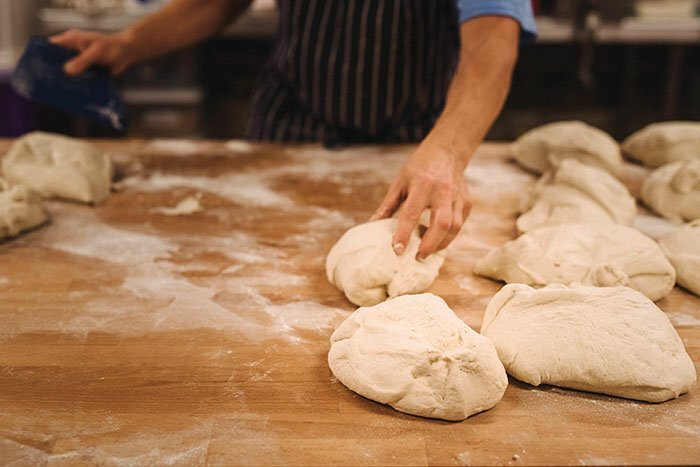 Most big ideas start with tiny roots and our bakery began life on our kitchen table in the heart of York. 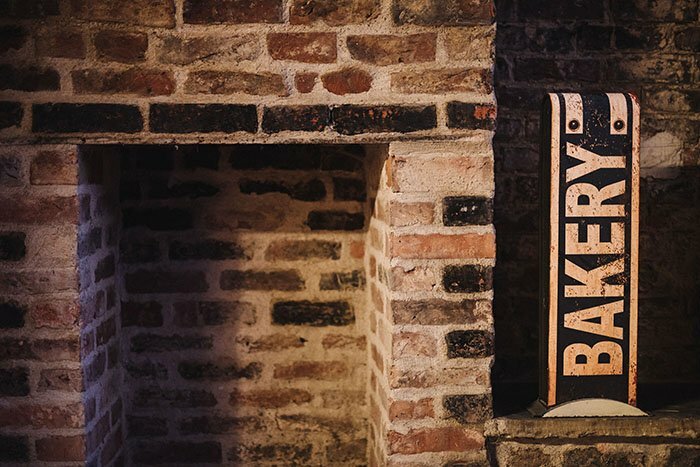 After a full night baking, we sold our bread at a market stall and hand-delivered a few loaves to our neighbours and the local community pub. We couldn’t have been any smaller. 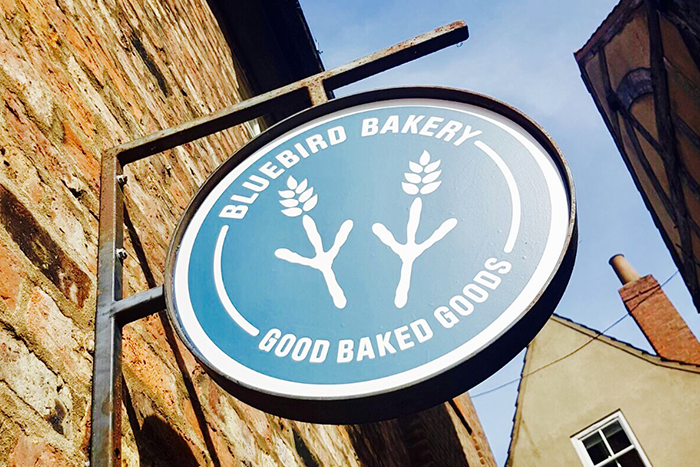 But, we did see an enormous appetite for ‘real bread’ – the antithesis of mass-produced additive-loaded supermarket loaves – and the fledgling Bluebird found a new nest: a restored gig-house, now our Malton bakery and shop. 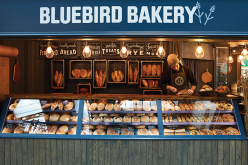 This was closely followed by a second residence on York’s famous Shambles and – most recently – a third shop in bold and buzzy Leeds’ Kirkgate Market. 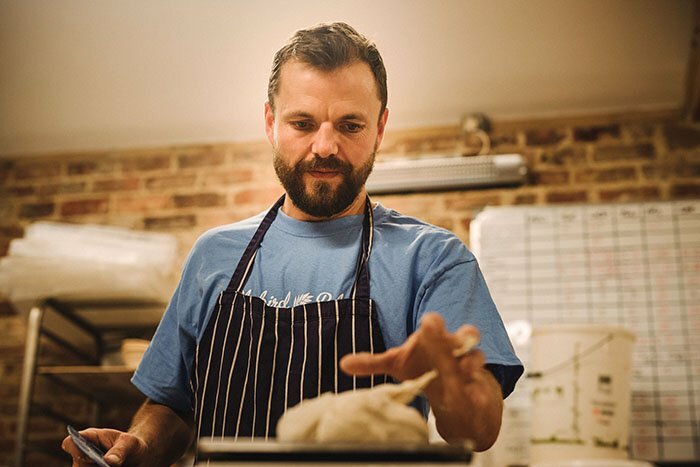 We are Al and Nicky Kippax – and we’re joined by brilliant bakers and bread buffs who help to shape our small enterprise and keep it ticking over nicely. 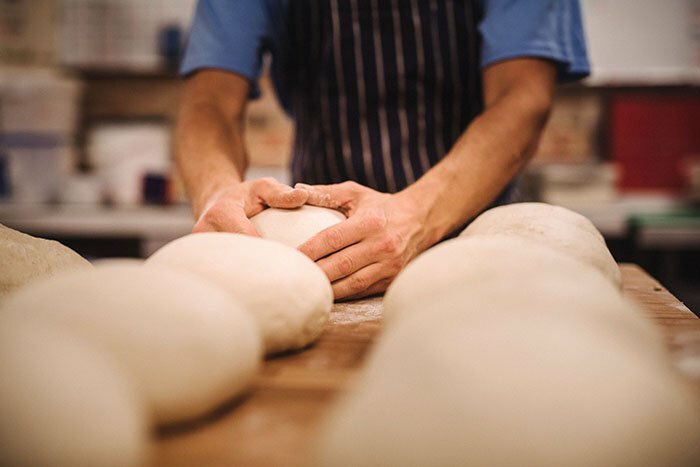 Our vision is just the same as it was back in 2011: to bring back the lost tradition of hand-shaped, artisan loaves which are nutritious and delicious. 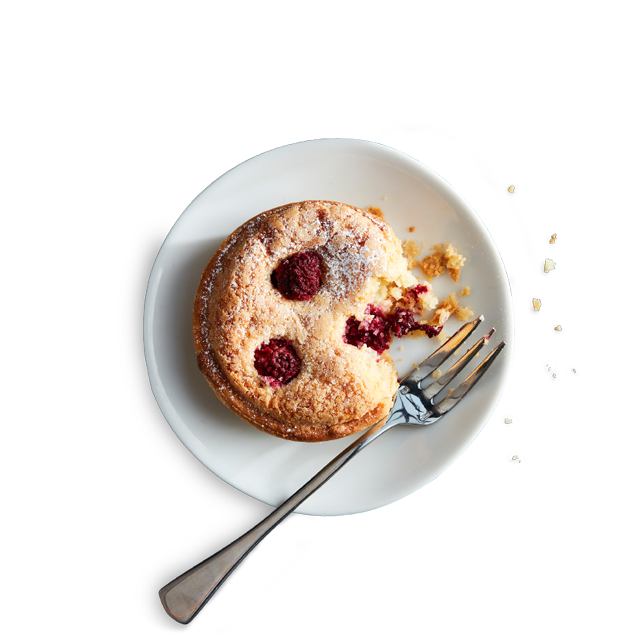 Ideally eaten for breakfast in Paris along with a café au lait - but if you can't make it, our Yorkshire version is a classic. 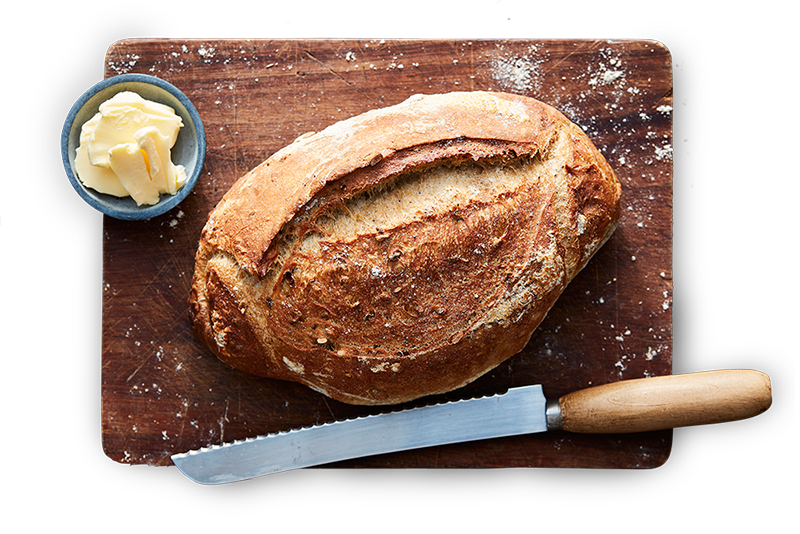 Slice for bruschetta or serve with olive oil & balsamic, tapenade or salami and cheese - there's no end to what you can stick on your baguette. 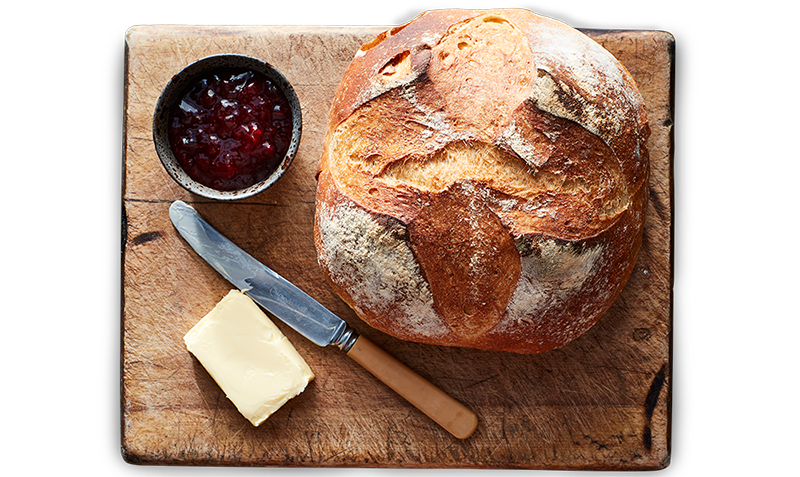 A tongue-twister of a loaf, this is our most popular sourdough. 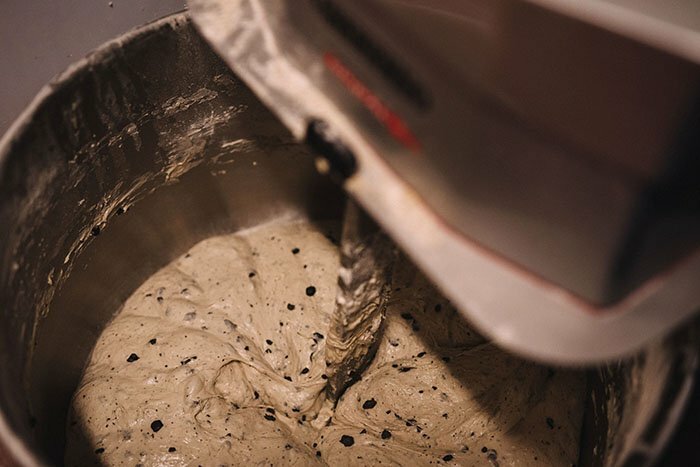 It's packed full of sesame, sunflower, linseed, pumpkin, chia, alfalfa and poppy seeds and toasts up a treat. 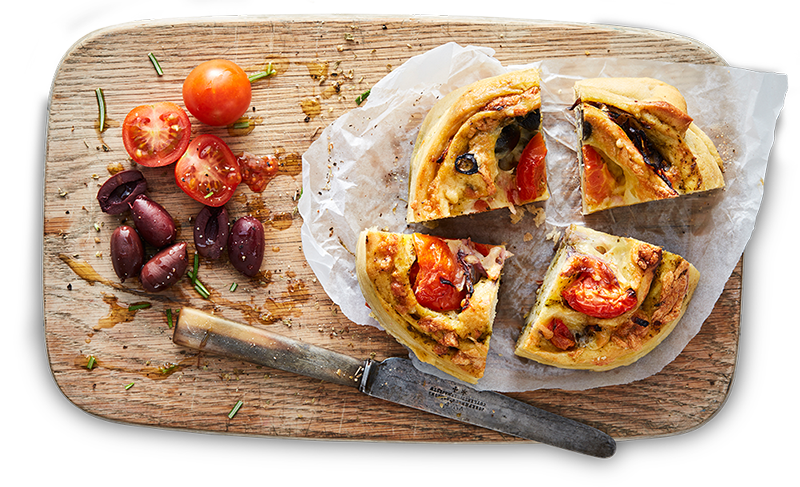 A firm favourite for Bluebird customers, these comprise a twist of bread with cheese, olives, tomatoes, pesto and red onion. Affectionately known as the 'swirly-whirlies'. 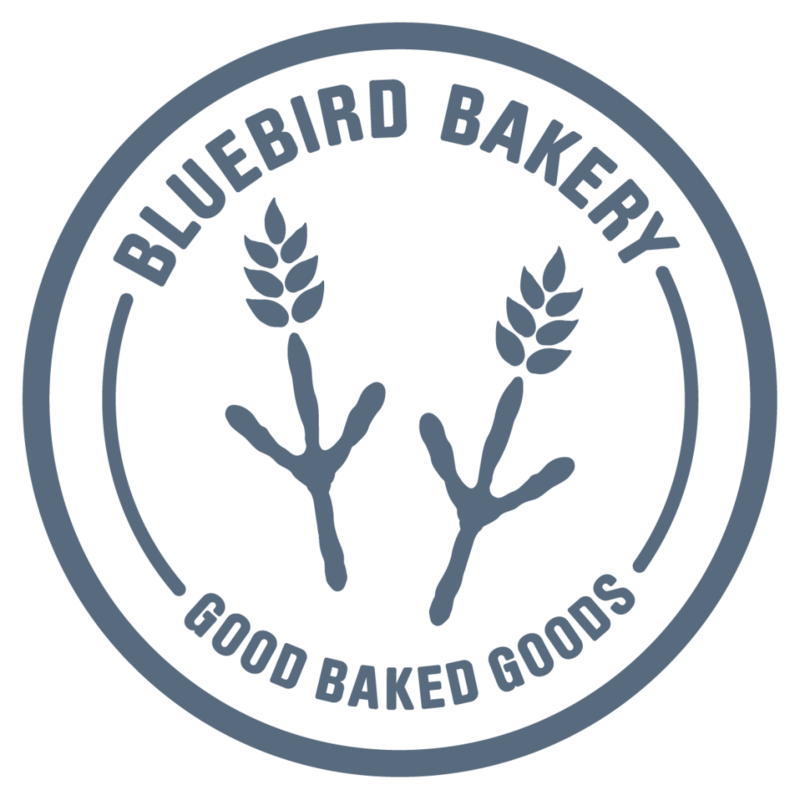 A Bluebird staple - and a loaf that rarely goes unsold. 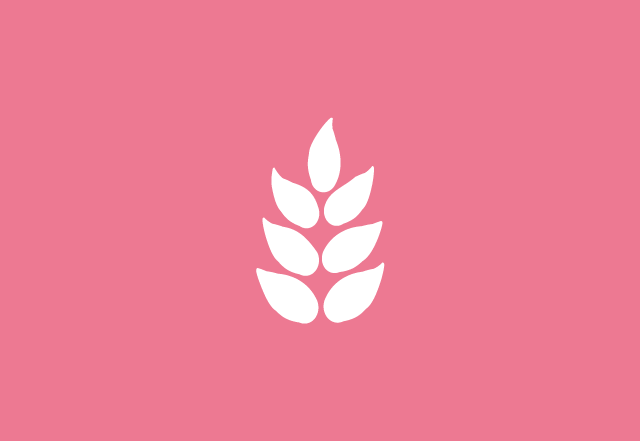 A combination of simple ingredients (and bags of fermentation time) mean that it packs a full flavour. 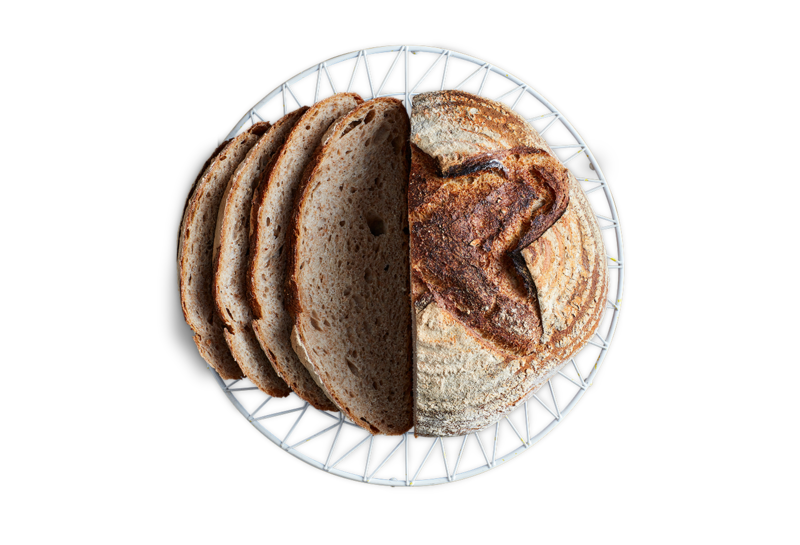 Crusty on the outside, soft on the inside. 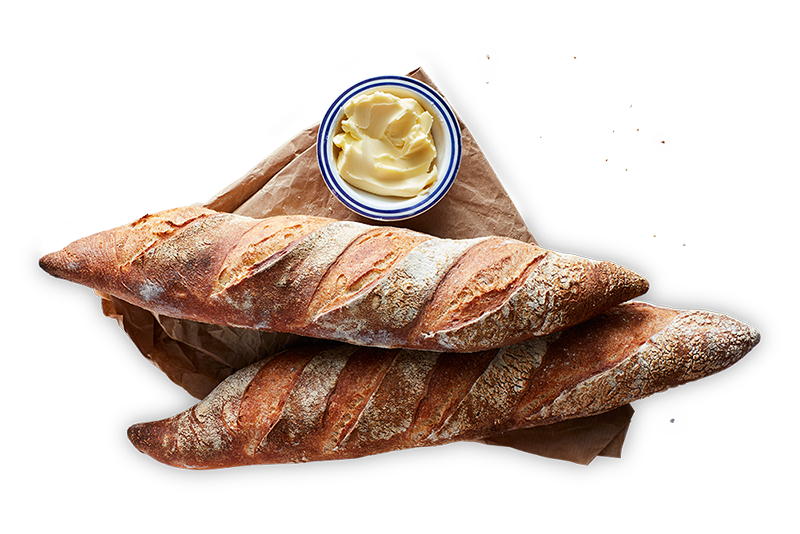 our cob is all a cob should be. Whether you soak it in soup or serve it with bacon, it’s a family favourite. 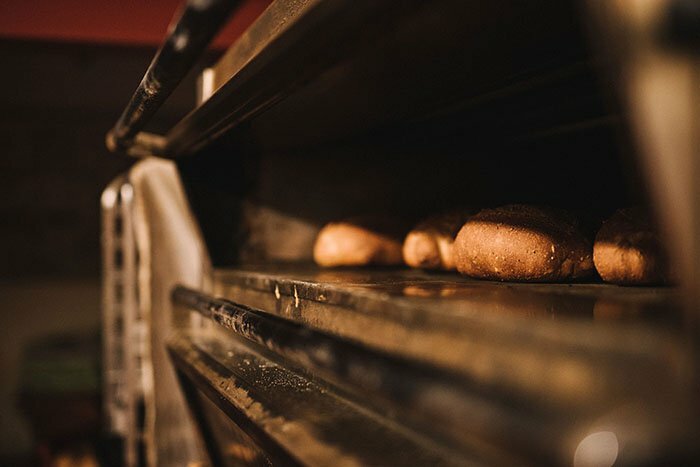 The original roost, our smallest shop is attached to the actual bakery so the bread travels just a few small yards from oven to shelf. 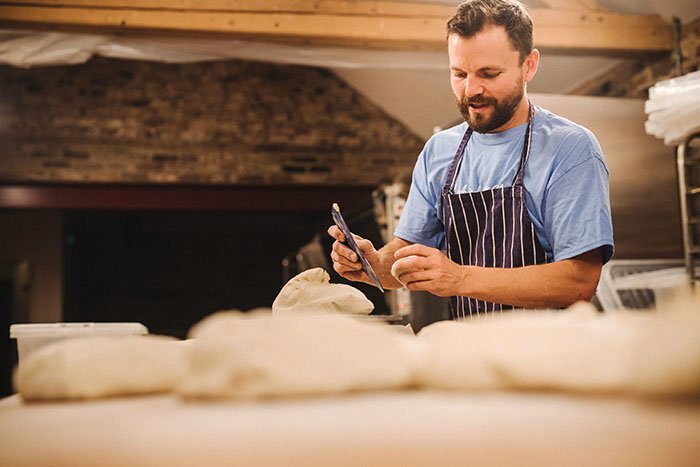 We work closely with other producers in Talbot Yard which gives us access to great roasted coffee, an award-winning butcher and possibly the most enticing gelato that Yorkshire has to offer. 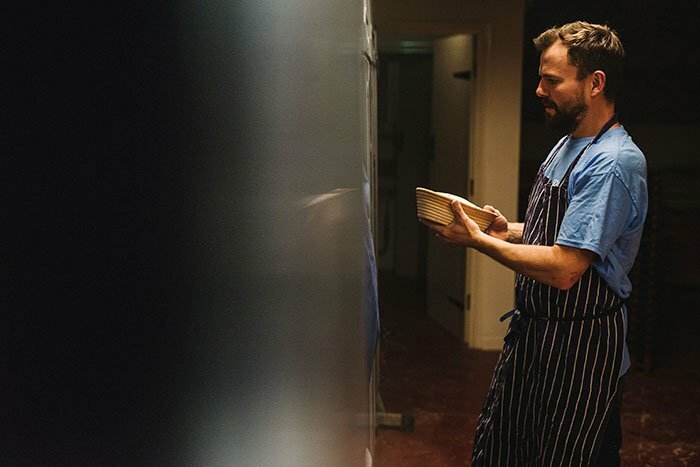 Fancy a Malton food tour? No problem, you can book one here. 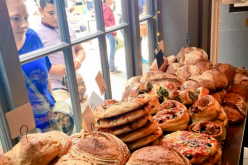 If you can squeeze past tourists taking photos of the shop window, inside our Shambles shop there’s something for every bonafide loaf-lover. 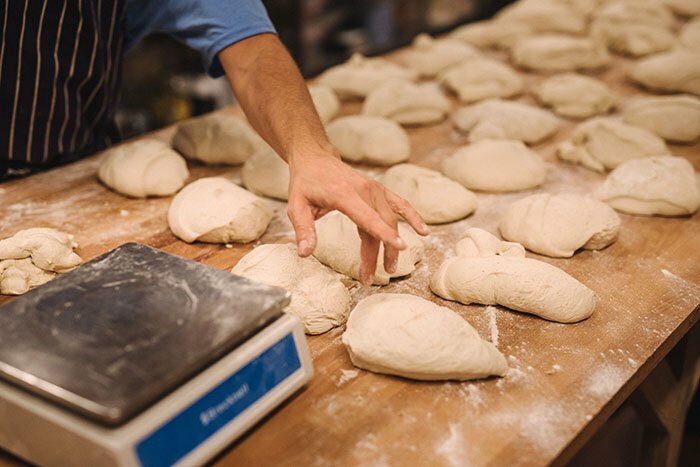 Little Shambles is the perfect setting for artisan bread and we can tell you about every loaf, what it might pair well with and whether there’s a daily special you shouldn’t miss. Our latest adventure is the mightiest yet but (in our humble opinion) nowhere embodies a big-city buzz more than Kirkgate – the largest undercover market in Europe. 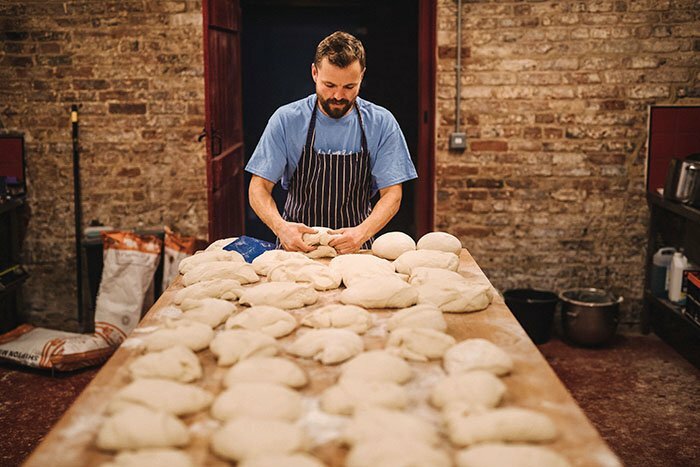 We’re over the moon about bringing our bread here, joining some of the best and freshest producers Leeds has to offer – not to mention our favourite street food, Banh & Mee and Manjit’s Kitchen. If you need some help finding us, just head up to the top of Fishmonger Row. 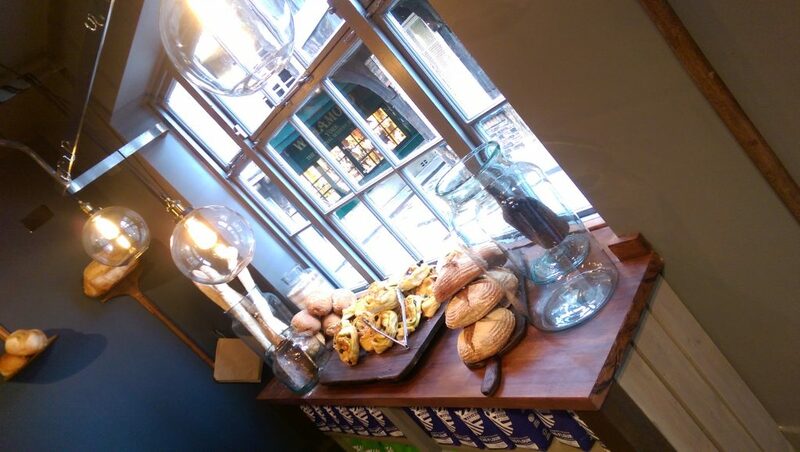 Keep up with the latest news, offers and market days. Straight to your inbox with nothing added.